How do I find out the rules that relate to my property or the property I am looking to purchase? There are several steps involved in determining planning rules relevant to your property. Initially your land classification or zoning under your local authority Planning Scheme (eg Brisbane City Plan 2014) will provide a clear indication of what you can or cannot do with a particular property and what level of application may be required to establish a particular use. Property flags or overlays are also mapped through Brisbane City Plan 2014 which generally indicate development constraints such as land subject to housing character, flooding, waterway corridors, heritage and conservation regulations. These constraints often have a corresponding code directing building design, location, height and scale. Neighbourhood Plans provide a specific set of planning provisions within City Plan 2014 that aim to achieve particular local land use outcomes. These plans can alter the type of application required for particular uses and override other parts of the planning scheme. ‘Natural ground level’ (NGL) is not necessarily the ground level that is present today. NGL is a term used to define the most likely surface of the property at the time the lots were created and the roads built. Factors such as retaining walls, cutting and filling will impact on the ‘natural ground level’ as defined by the Brisbane City Council City Plan 2014. The process to determine the NGL requires research and analysis. The skills required are most likely only found in a Licensed Cadastral Surveyor. Development Approvals set out conditions that certification relative to natural ground level is to be certified by a Licensed Cadastral Surveyor. It does not allow others to certify NGL. Therefore, an unlicensed or merely registered surveyor is not a suitably qualified person to provide certification for NGL. Is my property in the Traditional Building Character Overlay and what restrictions apply to this classification? The Traditional Building Character Overlay (TBCO) describes parts of the city that contain pre-1946 housing with distinctive architectural styles. The precincts also contain non-residential buildings which contribute to the character of an area and have a connection with local community. The Brisbane City Plan 2014 considers that neighbourhood character is derived from the history of these areas, the architectural themes and traditional patterns of subdivision. Council looks to restrict the complete removal of housing prior to 1946. There are, however, circumstances where genuine arguments can illustrate compliance with the Traditional Building Character (Demolition) Overlay Code. Infill development that is respectful and compatible with local character is promoted. What does RISKSMART Involve? What criteria need to be met for an application to be assessed under this process? RISKSMART is an initiative of Brisbane City Council that promotes the expedited assessment of low-risk development applications. Examples include new houses or extensions to existing houses within the Traditional Building Character Overlay, small residential subdivisions, multiple dwellings, small industrial uses and centre activities. 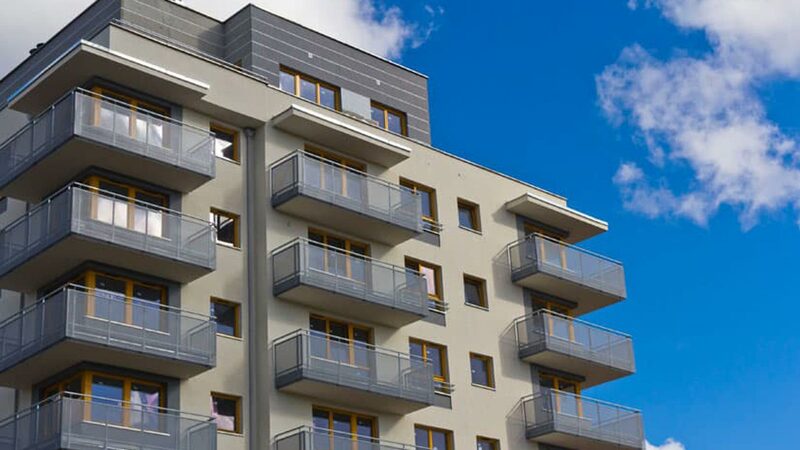 Where development satisfies Council’s inclusionary criteria and the acceptable solutions of relevant Codes, DTS Group Qld is certified to assess and prepare approval documentation. The application is lodged with Brisbane City Council and depending on the circumstances of the proposal can be granted a Development Permit within 5-10 business days. What is a reliable source for Australian Height Datum? The best source for the Australian Height Datum (AHD) is from permanent survey marks (PSMs). PSMs are categorised from 1st Order to Fourth Order and Class A to Class E by the Intergovernmental Committee on Surveying & Mapping (ICSM). To obtain the most reliable result, connection to a co-ordinated PSM with check measurement verification to other PSMs is required to ensure that the mark adopted has not been disturbed. Many surveyors adopt sewerage manholes as the datum for levels. It should be noted that there may be unforeseen consequences of this practice. Sewerage manholes are not an accurate source for a survey height datum, Councils records of these manholes can be inaccurate due to manhole lids being raised and lowered. They are also often based on design rather than the actual constructed infrastructure. The consequences of this can be devastating if a house floor level is designed to be just above flood levels and the datum is unreliable. DTS always uses an existing permanent survey mark for height determination to prevent any such problem. How do you locate underground services? DTS can help you avoid construction delays by identifying and marking the location of all underground services before your project begins. How are infrastructure contributions levied under the planning scheme? Can I determine a potential charge? The Sustainable Planning Act 2009 (SPA) provides a mechanism for planning schemes to charge for the cost of supplying infrastructure. Commonly new development is charged across five areas being Water, Sewerage, Transport, Community and Waterways. These descriptions can vary between local government areas. The charge is used for the delivery of not just infrastructure to the area in which a development is located but also broader citywide infrastructure demands. Only a Licensed Cadastral Surveyor is able to determine the location of property boundaries. Any set out for construction that needs to be certified relative to boundaries, should be undertaken by a Licensed Cadastral Surveyor to be certain that clearances are met and there are no encroachments. If you utilise an unlicensed Surveyor to indicate your property boundaries and the neighbour complains, then the dispute will need to be solved by a person legally qualified to do such work. The cost of any litigation would usually be borne by the person using the unqualified surveyor. DTS has Licensed Cadastral Surveyors on staff. Do I need a Surveyor when considering a lease? If the lease is fully contained inside a building, then it is a lease of a building and requires a plan for inclusion in the lease document. This is usually surveyed and drawn to the Property Council of Australia Method of Measurement Methods. A plan to lease an area of land is required by the Registrar of Titles Regulations to be drawn on a survey plan by a Licensed Cadastral Surveyor. Also, if the lease is over land for a period of ten or more years then it will require a Development Approval from the local authority as well as a survey plan. Licence plans can be used for areas that do not require registration, such as for the allocation of dining areas and car parks. Do you have a question which wasn’t answered?